While Opel will unveil the new all-electric Ampera-e at the Paris Motor Show later this month, Vauxhall says it has no plans to to bring right hand models to the UK. For this generation at least. It is however seeing if there would be enough demand to launch the next generation of the Ampera-e in right-hand drive for the UK. 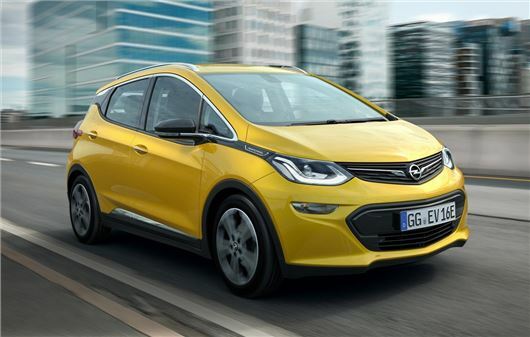 Vauxhall says it is 'committed to having a future EV presence in its range' but with the current Ampera-e not being built in right-hand drive, it will be several years yet before we see an electric Vauxhall. With the slow-selling Ampera now discontinued, Vauxhall currently has no electric or hybrid cars in its range. Due to be launched in 2017, the Ampera-e is a small MPV with an electric range of more than 250 miles. According to the official EU test at least. In real world driving this equates to a range of about 185 miles. A BMW i3 has an official range of 185 miles. The five-seat Ampera-e can carry five people and has a 381-litre boot, not far short of a Vauxhall Meriva. The battery, which sits under the floor, is made up of 288 lithium-ion cells and has a 60kWh capacity. Thanks to 360Nm of torque, the Ampera-e has strong performance for town driving. It gets from 0-30mph in 3.2 seconds while the top speed is limited to 93mph in order to preserve the range. The American EPA test has just rated their version of the car at 238 miles and their test is known to be pretty accurate. Opel has said it is likely to get 250+ miles in the European NEDC test. They are being pretty conservative in stating that, knowing that the test itself sets unrealistically high expectations. I'm willing to bet that this car will do the 238 like it's US cousin and the fantasy number produced by the NEDC test will be closer to 300 miles. Either way it's a crying shame that Vauxhall is overlooking it. They are basically giving the steadily growing market to Nissan, VW et al, who will no doubt respond globally with a 60 kWh version of their cars and will have RHD. As an original Ampera owner I know that GM built an excellent car that Vauxhall failed to market properly. I would have stayed with the brand but now I have no option.